Dr. Howard can help you manifest your deepest heart's desires. Dr. Jennifer Howard is an inspiring and motivating speaker who reaches the heart of audiences with her humor, insights, and focused knowledge on a range of issues. Speaking topics can be customized to the audience and range from the most current topics to specific psychological, spiritual, and personal growth issues that individuals and corporations face today. 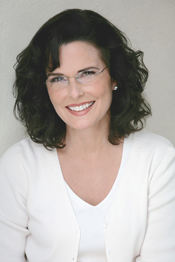 For more than twenty years, Dr. Jennifer Howard has created a safe and caring environment for clients and students to evolve through personal development and see past their personal historical limitations by uncovering the fullness of who they really are and all that they are able to become. Using her unique training and natural abilities, she is able to gather exact psychological insight and relay the specific information. Her many years of expertise in all levels of personal transformation work, along with her deep spiritual awareness and embodiment of levels of unified consciousness, allows clients and students to live the life they came to live. To find and continue living a conscious life, it helps to receive different kinds of support along the way. Using different modalities that look at all levels of transformation, including physical, emotional, mental, and spiritual seem to be the quickest and most productive way to help. For example, working with individuals by using grounded psychotherapy, accurate intuitive awareness, and precise use of subtle energies can more rapidly assist people in reaching more of their full potential. A loving presence blended with skillful observation and gentle intervention can produce results that are transformative. Click here to get your free MP3 of Dr. Howard speaking and weekly ezine.